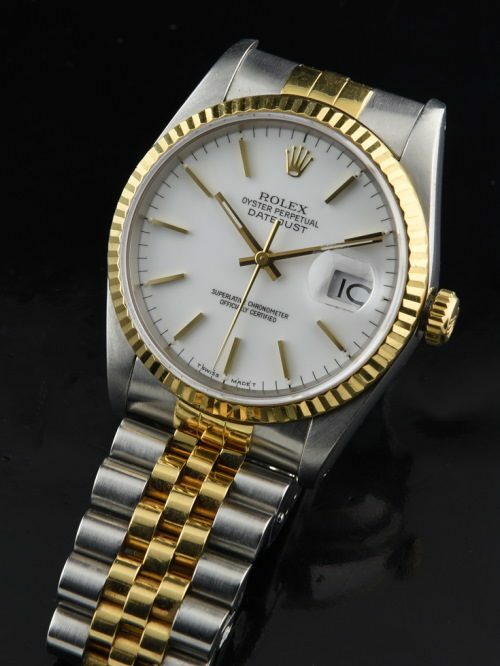 This Rolex Datejust ref. 16233 dates to 1987, having an R serial number. The 36mm. steel case with 18k. gold bezel gleams. The 18k. gold and steel ROLEX JUBILEE bracelet is quite tight-lightly worn. The white dial pops! The automatic ROLEX movement was just cleaned and is accurate. This watch has the quick-set date feature. If you want a super clean example…here you go!